To quote the late Elie Wiesel: “There may be times when we are powerless to prevent injustice, but there must never be a time when we fail to protest”. Consider I Support the Girls a passive protest against the status quo of homelessness. Today we highlight a very special collection spearheaded by an extraordinary woman: Trudy Album. 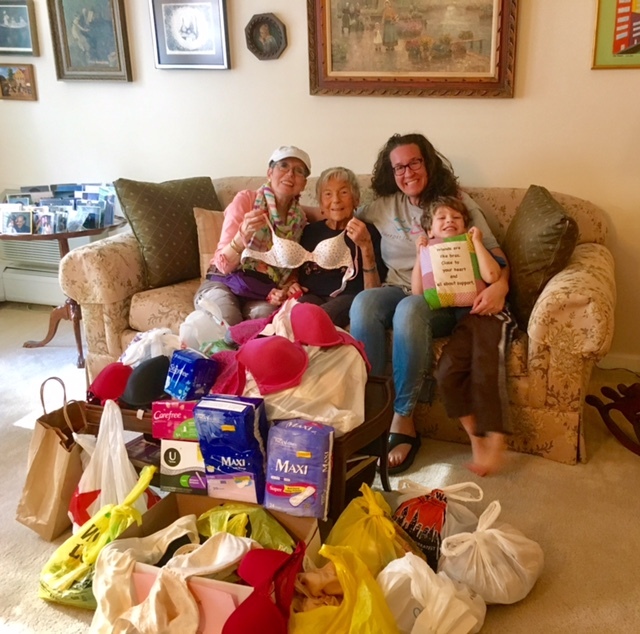 Trudy went around her synagogue and local Jewish Community Center (JCC) telling people about I Support the Girls and asking them to donate products to her collection. This is how most I Support the Girls collections start, but what makes this narrative slightly different is that Trudy is 88 years young! Trudy was born in Czechoslovakia in 1929. The oldest child in her family, Trudy remarked she had a “very happy childhood. I used to go with my mom to the opera in Bratislava often. We lived in a large house with other extended family members. Our house was so large that the local library had a room in it.” Trudy attended elementary school but only spent two years in middle school when her life was interrupted because of World War II. In the spring of 1944, right after the Jewish holiday of Passover, Trudy’s family was taken to a ghetto, or an area where the Jewish population was segregated from the rest of the city. At age 44, her father was drafted along with all army eligible men to join a work commando. That was the last time she saw him. Within two months her family and thousands others were deported to Auschwitz, a concentration camp, where she was separated from her mother, sister and grandmother by whom the history books and many Holocaust survivors term the “Angel of Death”, Josef Mengele. He was notorious for his gruesome medical practices at the camps and for ripping families apart in his selections. To this day, Trudy has the number A17291 tattooed on her arm. After some time, Trudy and other inmates were moved to a camp in Bavaria, where they toiled alongside Germans. One of the Germans used to smuggle food in for the Jewish women there. “I never forgot his kindness, kindness for which the punishment was death.” Eventually Trudy was liberated by the U.S. Army. Because she had family in the United States, she was able to emigrate in 1946. After learning English and receiving her equivalency degree, Trudy trained to become a radiology technician. She married and had three children. 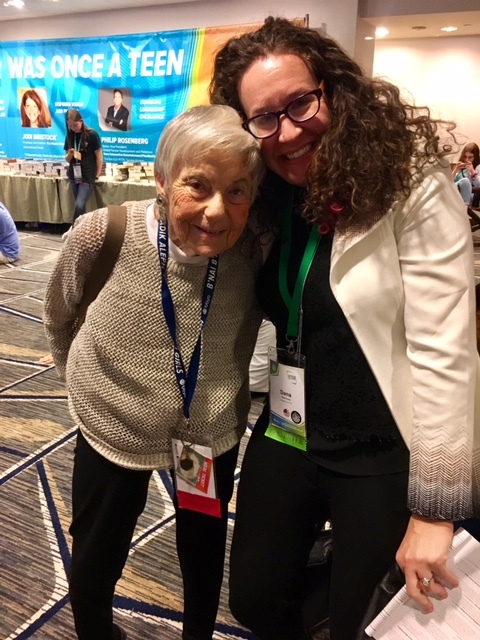 Beyond collecting for I Support the Girls, Trudy keeps herself extremely busy with daily exercise, book clubs, playing bridge, involvement in BBYO and her local JCC. But most importantly, “I give back whenever I can. That includes speaking in schools to students and retelling my story of survival.” We couldn’t agree more at the importance of this mission. I Support the Girls is blessed to have volunteers like Trudy who simply want to give back and help others. From the bottom of our collective hearts, thank you Trudy! Our gratitude extends not just for your efforts with our organization by proving Mr. Wiesel’s words about harnessing our power to prevent injustice, but also protesting with bras and daffodils.